Peruse this entry to learn what kind of a Mac infection MyWay Search is and get the hang of the procedure to get rid of this browser hijacker completely. MyWay Search is an online service that embodies the whole imposture residing on the worldwide web. It has gained notoriety for being one of the most persistent browser hijacking viruses that infect Mac and Windows machines alike. Its cross-platform gist and evasiveness make it stand out from the crowd populated by garden-variety adware and hijackers. It is worth mentioning from the start that perceiving this entity as a malicious web page is a misconception. What’s harmful is the underlying app that typically arrives in the form of a browser plugin or add-on. This offending code misconfigures the web browsers spotted on the infected Mac and makes them default to a rogue page. The latter, incidentally, may vary – the latest reported URLs include in.search.myway.com and hp.myway.com. Originally, this pest used the search.myway.com domain and must have switched to new ones due to blacklisting and similar issues. Whereas the MyWay Search virus boasts greater distribution than most of the competing infections, it goes the exact same route as far as the contamination chain is concerned. Specifically, the troublemaking program infiltrates Macs while accompanying other, ostensibly unrelated apps which, in their turn, play the role of a red herring. In other words, the cybercrooks harness the good ol’ bundling trick, where malicious entities make the rounds alongside benign ones. The catch is that the fact of combined installation is never disclosed in the setup client. Therefore, users keep thinking they are installing some fancy free app all the way throughout the installation process while having no clue the default option has got a pest on board. Once the penetration has taken place, MyWay Search leverages pretty much the same tactics as the average adware. It embeds a new pseudo helper item into all instances of major web browsers detected in the system. This baddie is both multi-platform and cross-browser, so it will affect Safari, Chrome, and Firefox in a similar fashion. The unwanted extension will then tweak web navigation settings, including the preferred start page, search provider, and possibly the new tab page. These are replaced by int.search.myway.com or hp.myway.com, so the enslaved browser will be resolving the wrong URL off and on. The landing page itself is not dangerous, although unannounced and uninvited. If the victim tries to run a search there, they will get relevant Google results diluted with sponsored links. The individuals behind MyWay Search, obviously, seek to intercept unsuspecting users’ Internet traffic in order to monetize it – this scheme is as old as the adware industry itself. If this virus is inside your Mac, here is what you should do to stop participating in this nefarious enrichment campaign done at the expense of regular users’ serenity. When confronted with malicious code like the MyWay Search virus on Mac, you can neutralize its toxic impact by leveraging a specially crafted system utility. The Freshmac application (read review) is a perfect match for this purpose as it delivers essential security features along with must-have modules for Mac optimization. This tool cleans unneeded applications and persistent malware in one click. It also protects your privacy by eliminating tracking cookies, frees up disk space, and manages startup apps to decrease boot time. On top of that, it boasts 24/7 tech support. The following steps will walk you through automatic removal of the MyWay Search Mac infection. 4. Check whether the MyWay Search redirect problem has been fixed. If it perseveres, go to the Uninstaller option on Freshmac GUI. Locate an entry that appears suspicious, select it and click Fix Safely button to force-uninstall the unwanted application. 5. Go to Temp and Startup Apps panes on the interface and have all redundant or suspicious items eliminated as well. 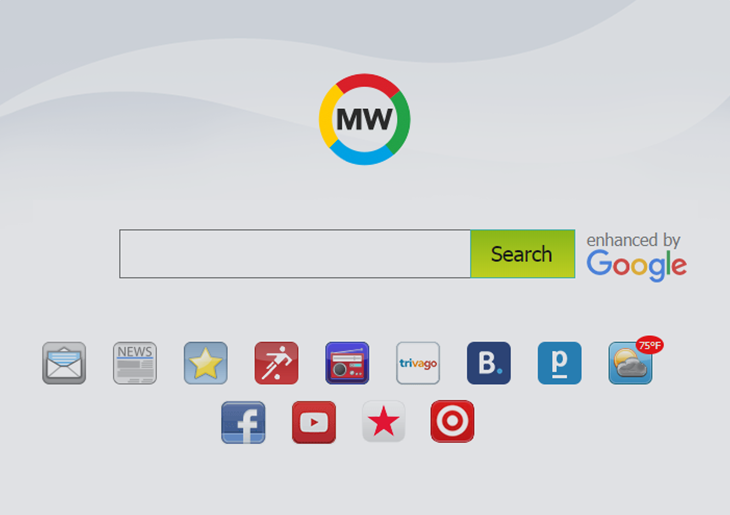 The MyWay Search malware shouldn’t be causing any further trouble.